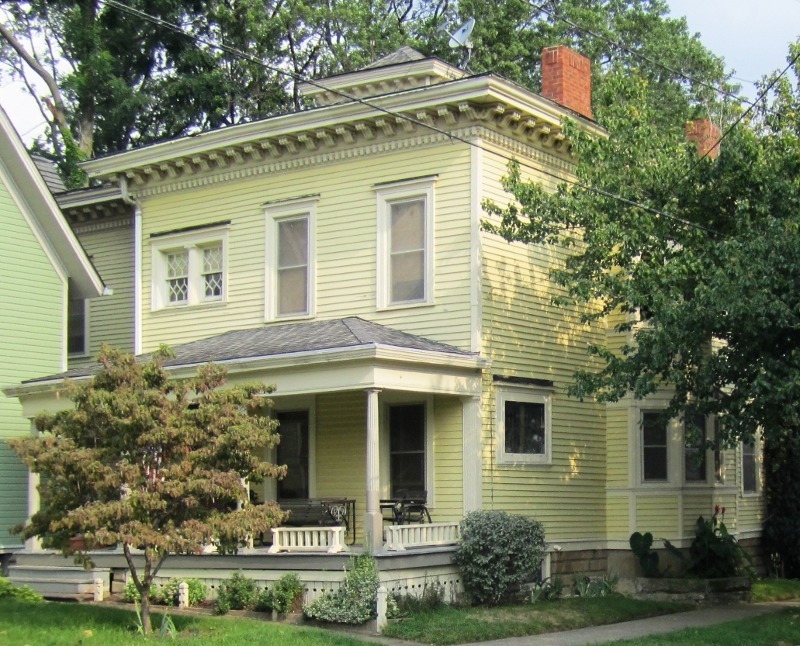 The yellow pastel colored, Italianate style house on the corner of W. 73rd Street and Herman Avenue, which in recent years has been restored to its nineteenth century grandeur, was built by a member of the family that pioneered Cleveland's brass industry. 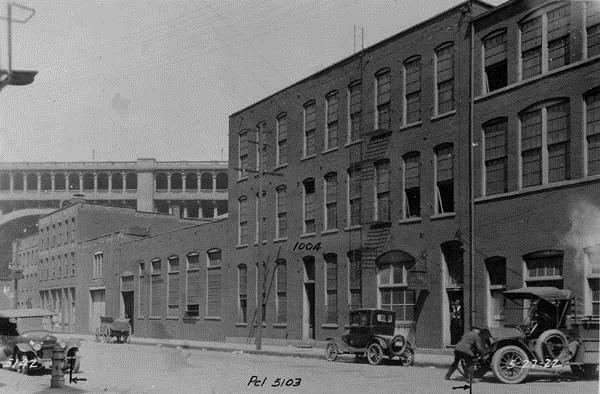 Cleveland's first brass foundry was built in 1852 on Center Street (located in the East Bank of the Flats) by Irish immigrant Walter Farnan. The business quickly flourished as brass was a important metal alloy used in many products manufactured in the nineteenth century. It was especially critical in the construction of municipal water works systems, and thus Farnan Brass Works became an early supplier in the 1850s to the Cleveland waterworks system. 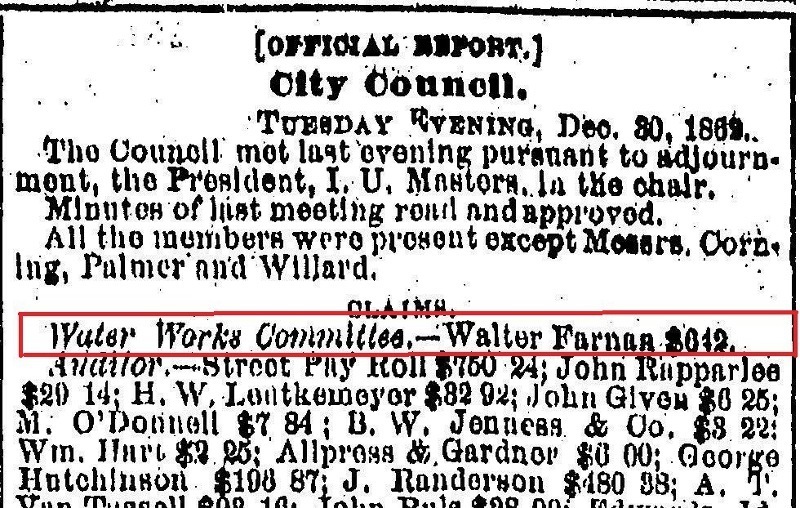 In 1860, Walter Farnan's oldest son James, now active in the family business, purchased 12 acres of farmland on Detroit Avenue in what was then northern Brooklyn Township. Today it is part of the Detroit Shoreway neighborhood of the west side of Cleveland. According to county tax records, James Farnan, who became owner of Farnan Brass Works upon the death of his father in 1866, built the house which is the subject of this story in 1870. Unfortunately, James did not live long enough to enjoy his grand house. He died from cancer in 1875 at age 44. 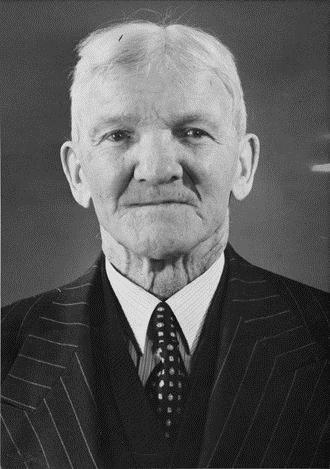 Mary Farnan, his widow, not only completed the task of raising the couple's four surviving children but, in addition, took over the reins of Farnan Brass Works, running the company for 36 years until her own death in 1911. 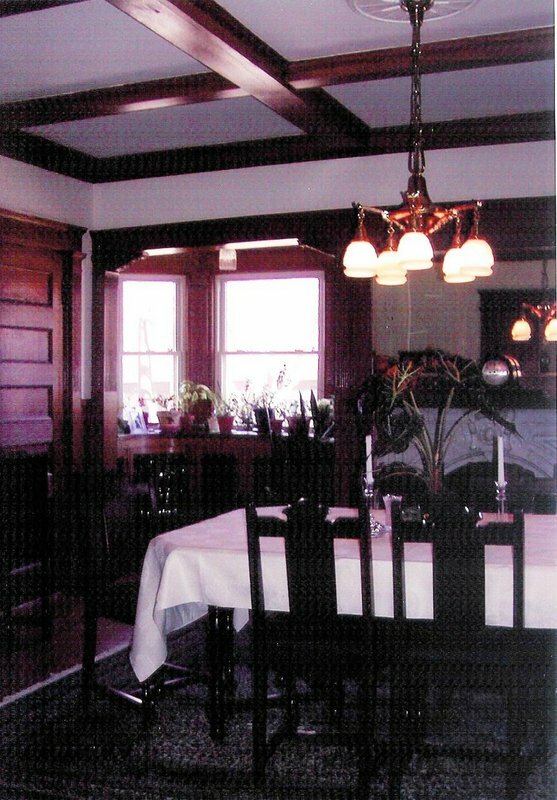 She was so successful as a business woman that, in 1894, she was able to hire noted local architect W. D. Benes to design an extensive remodeling of her home. The house that brass built was originally located on what is now the northeast corner of W. 70th Street and Detroit Avenue. 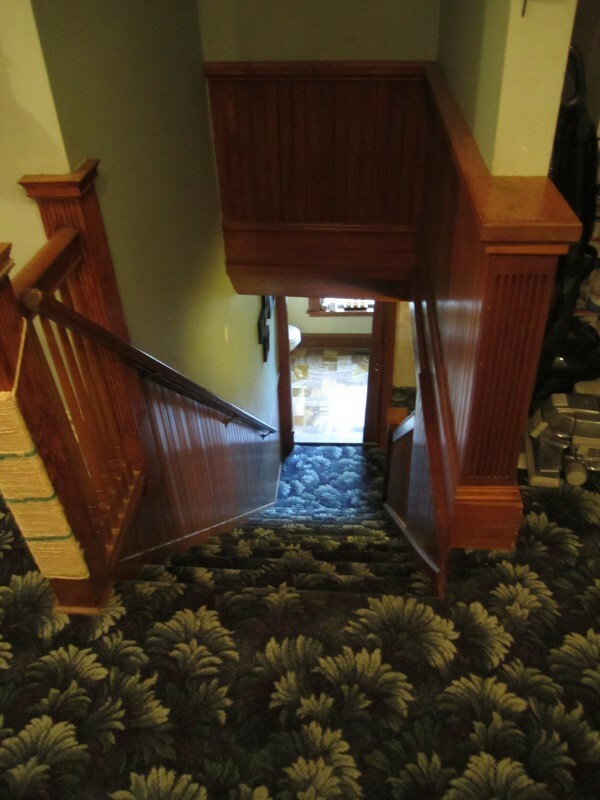 Several years after Mary Farnan's death, the house was purchased by Thomas "Coal Oil" Masterson, an Irish immigrant, political activist and local entrepreneur, who, in 1917, moved the house to Kilbane Town. Masterson and his family lived in the house on the corner of W. 73rd and Herman for nearly 50 years. It was sold by the family in 1968 shortly after the death of Thomas Masterson's widow, Ida. 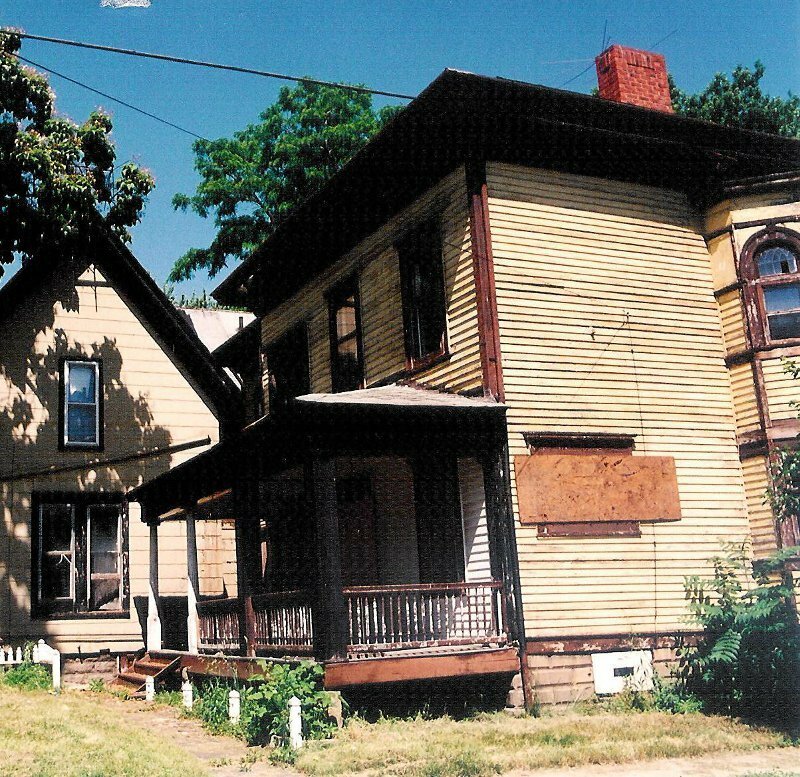 In the late 1970s and early 1980s, as efforts were undertaken by concerned citizens to revitalize Cleveland's historic Detroit Shoreway neighborhood, efforts were also made to restore the house that brass built. 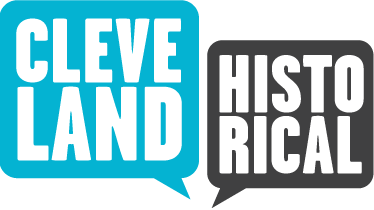 Those efforts received a significant boost In the early 1990s when the Cleveland Land Bank obtained title to the property and sold it to Tim and Mimi Elliot, two former suburbanites who had moved back into the City and had begun to restore a number of Cleveland's historic homes. It took years of patience, hard work and quality craftsmanship to restore the Farnan's Italianate mansion to its nineteenth century grandeur. Today, the house that brass built is once again a neighborhood jewel. Jim Dubelko, “The House that Brass Built,” Cleveland Historical, accessed April 18, 2019, https://clevelandhistorical.org/items/show/524. Published on Jul 17, 2012. Last updated on Apr 18, 2017.